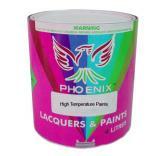 Paint Colour - Phoenix Lacquers & Paints Pty. Ltd.
At Phoenix Lacquers & Paints MFG Pty Ltd we custom make our own products to serve your needs. We can mix all kind of color match with your expectation for the any job starting from home projects up to industrial heavy duty machinery. One of our experienced staff will provide you any information about paints and answer to your needs.